Biography of pro basketball player "Pistol" Pete Maravich, who died suddenly in 1988 at age 40 from a heart attack. A basketball prodigy who becomes college basketball's all-time leading scorer, Pete Maravich goes on to chase a championship in the NBA only to discover something more important is missing in his life. Two estranged brothers are forced to take a surreal and heartfelt journey to understanding, when they pick up the body of their deceased father in Mexico. A father they haven't seen in over 20 years. A town overrun by bandits hires a celebrity sharp-shooter to clean up the town. 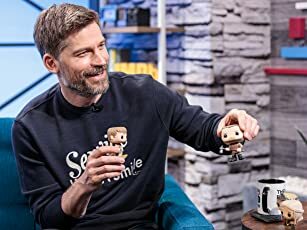 If only he knew how to ride a horse. Pete Maravich: [after beating Buddy] That's the game, see ya Monday night. Published by Uncle Josh's Song Emporium, Inc.
Not such a bad movie. I enjoyed this video. The movie-making quality is not the highest, and the acting is undoubtedly less than stellar. However, I found that this movie had a lot of heart. It is a much better family movie than many others out there, with no profanity and little violence. I'd recommend this movie to anyone who has an interest in Pete Maravich and his life. 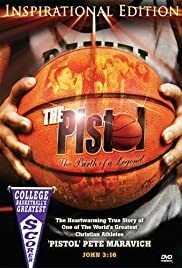 This movie was made to describe the basketball history of Pete Maravich, and shows a special relationship between Pete and his father, which I thought was refreshing. It's a joy to see a parent who did his best to establish common ground with his child so that they could relate to each other. So if you're interested in basketball, go ahead and check this movie out. You may find yourself charmed by the innocence in the story of the young Pete Maravich.